Do you also fancy the “ultimate large shower”? 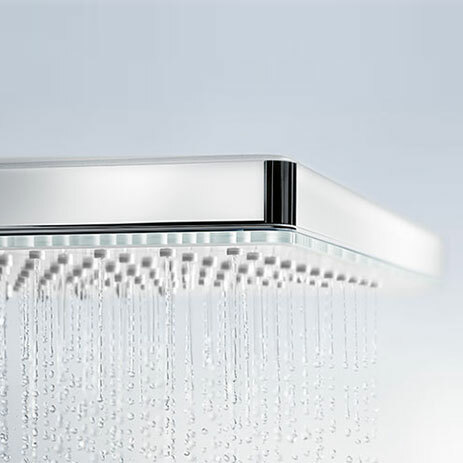 The latest hansgrohe XXL overhead shower is called Rainmaker Select. Its rectangular, large spray disc won’t only provide you with a varied spa-like experience, but is also an aesthetic delight. 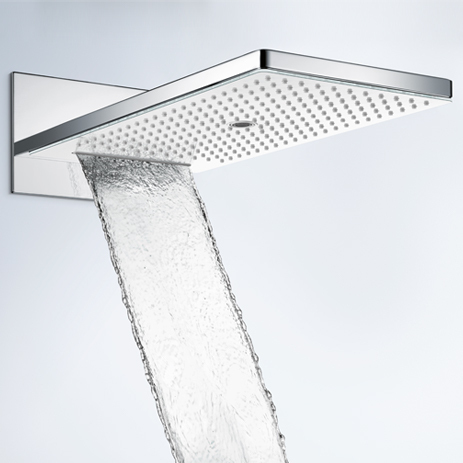 Wonderful shower sensations: The large spray width (580 and 460 mm) delivers a shower with full pampering effect. With Rainmaker Select choose between the jet types Rain, Mono and RainFlow (580) and RainStream (460). Let your body be fully enveloped in the shower rain, use a more focussed jet, or experience the gush spray. Such a powerful gush will wash away any stress leaving you feeling invigorated. 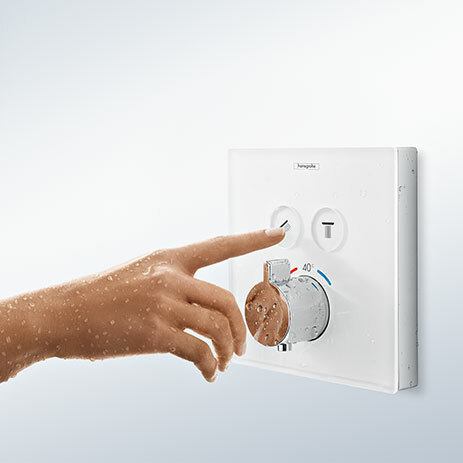 Convenient shower control: Select the jet types intuitively with a light press of the button on the thermostat using Select technology. 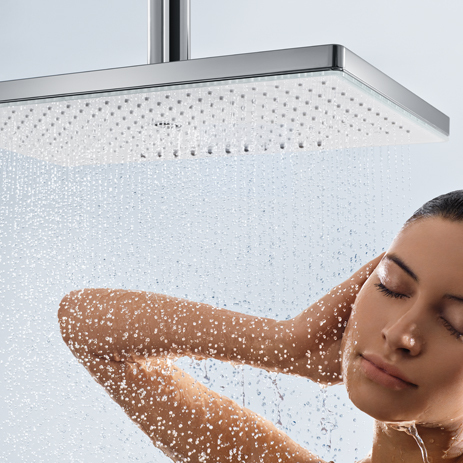 Choose the right shower control for you from the Shower Select range. Easy to clean: The easy-to-clean spray disc can be removed easily without tools (QuickConnect). Limescale residues can also be removed without having to take off the spray disc – simply rub it off the silicone naps (QuickClean). With its clean design and space-creating character, Rainmaker Select is a highlight in modern bathrooms. Showerpipe? Exposed or concealed installation? Would you like to renovate your bathroom and install a large spa rain shower? 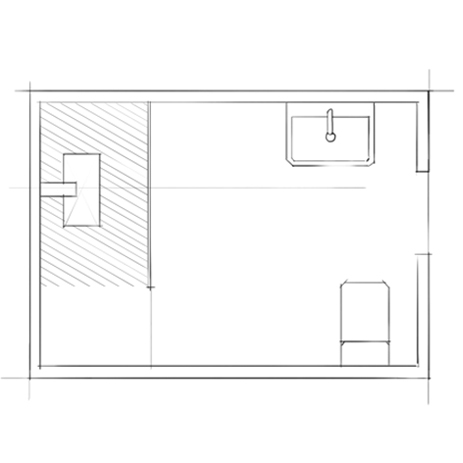 Thinking about designing a bathroom that is suitable for all ages? Then, just have a showerpipe installed. Such a versatile shower system comprises an overhead shower, a hand shower (different types possible in each case), and a Select thermostat. The innovative hansgrohe thermostat technology ensures a reliable flow – and protects people showering from unpleasant fluctuations in temperature. The Rainmaker Select showerpipe will give your shower a new, impressive look as well as many sophisticated features which you can control using a ShowerTablet. This exposed thermostat also has a 700 mm long glass and chrome shelf which provides room for everything you might need for a pleasant showering experience. Alternatively, you can choose to have flat concealed thermostats to control the shower which are elegantly installed behind the wall. These reduced ShowerSelect units allow you more room to move under the shower. The operating modules are available in a rectangular or rounded design.